We’re always pleased to see what our customers make with our software and to hear about how it has changed, even revolutionized, their businesses. Some of our customers have impressive names to drop when it comes to their client lists. For instance, fixture manufacturers for major retailers and chains such as Neiman Marcus, Louis Vuitton, Burlington Coat Factory, Target, Bloomingdales, McDonald's, Burger King, Sears, Nordstrom, Cole Haan, Tiffany & Co., Tommy Bahamas, Famous Footwear, Puma, and Macy's all have at least one thing in common - they all use CADCode to connect to their CNC machinery. We're proud to have helped them secure that level of success in this industry. Please browse our end-users’ gallery to see what you can make with our software and read over the case histories to get an idea of how they’re achieving company growth and increasing their profits. Companies as similar — and as different — as yours are using CADCode software every day to improve the quality of their products, increase their production volume, eliminate front office to production floor headaches, and enhance their bottom line. Read how others are using CADCode Systems' software to grow their businesses. We [Northway Industries] are a contract manufacturer, so we constantly have new customers. Some stay around for a while, some don't. We need to be able to get orders on the production floor as fast and accurately as we can. I have been using CADCode for a couple of years now. We have 13 CNC machines, 2 panel saws, and 4 horizontal machines. 5 different brands of CNC machines, and 2 different panel saws. CADCode talks to them all. We do work with one company that makes us look small. They will send us an order for an average of 2000 work surfaces at a time, with a 2 week delivered time. I receive the order, and process it in around 2 hours. Material requirements, press order, saw code, CNC code, reports, labels, and I order the material. We couldn't do it without CADCode. This is just one example. I have created Excel worksheets for repeat customers to order their product. They then send them by email to me, I open the sheet, type our order number in a field, and save as a CSV file. I then read the CSV file, and a layered DXF file, at the same time into CADCode. Game over. I have processed the order in minutes! I can read WoodWop files just like a DXF file also. There are many file formats that CADCode can read. I have never had any problems with support. You wouldn't believe the updates that were put in for us even if I remembered! Ned has been very good to Northway. I could go on and on, but its been a long day, and I am ready to go home. Any questions, feel free to ask. It's clear that automation is having a significant impact on the wood product manufacturing industry, enabling companies to produce more work, of better quality, than ever before. Take a look at this video from CADCode user Stevens Industries in Teutopolis Illinois for an overview of how they're employing automation, CNC machinery and CADCode Systems software to serve their customers. For more case histories, read below. If you have a success story using our software that you’d like us to feature, drop us a note and we’ll contact you for the details. This circular apartment building in Sydney Australia has one apartment on each floor shaped like a doughnut. The elevators, stairs and service equipment are in the center of the building and the living area is positioned around the core. The job started with a round empty shell, with no obvious starting point. Even the builder saw the difficulties of getting the walls in the right place until Roy Borello, co-owner of VRD Detailed Joinery, offered to use the architect’s AutoCAD plan to develop a series of templates to cover the apartment floor to show the exact position of the walls, cabinets and other built-ins. Although each apartment occupies a whole level, every spare millimeter was used in the quest for storage without compromising living areas. This produced some very unusually shaped units hidden in the many nooks and crannies. The architect’s specifications included some spectacular designs using curves, angles, and rounded corners. Everything to be fixed to the outside wall was curved with cutouts to fit the features of the building’s internal structure. The designs included miter and dovetail joints, ribs and curved panels. Using CADCode, Roy imported the files from AutoCAD and cut the template sheets from 3mm MDF on his CNC router. The templates were 100% accurate and the job was done in no time. With 100% accurate templates, the builder could easily identify where the walls were to be positioned, and VRD could start developing the detailed cabinetry. With accurate data and an easy way to move from design to manufacturing, even the most complex projects can be easily, efficiently, and profitably accomplished. This project is a great example of how you can make anything with full automation if you use the right software solution. VRD Detailed Joinery started out making hotel furniture but after 3 years Roy and Dominic Borello, owners and founders, decided that business had no real future. Roy made contact with a number of architects to attract more profitable work. Roy Borello and his brother Dominic have since transformed the business into a specialist custom joinery operation, using state-of-the-art CNC machinery and software. It wasn’t long before they had as much work – curved counters, reception desks, detailed cabinetry and the like – as they could handle. However, this work was done the hard way. In the beginning the shapes were mapped out on templates and everything was made by hand. Roy started toward automation by purchasing a computer and designing in a CAD program, sending cutlists and drawings to the shop floor, where they were checked and corrected before cutting could start. The whole process was slow and time consuming, and the shortage of qualified tradesmen didn’t help. It was about this time that Brian Swan of Biesse dropped in to call. "Brian brought me up to date with new machines on the market and what they could do", said Roy. “The software was the more complicated decision. I needed a system that would provide real automation for this machine. I needed the best of nesting and the best for single part production. But most of all I needed to draw, in a CAD format, the products I required and have them sent to the machine easily and 100% right every time. VRD uses AutoCAD and CADCode's ACAM to dynamically link the two programs and export via the DWG format so that whole assemblies of drawings can be saved to CADCode, optimized and sent to the machines at the push of a button. Tim MacDonald, managing director of Corona Cabinets, gets that you can’t cross a chasm with lots of small steps. After doing it the hard way for years, he was determined to make new computer-driven technology work for him. A qualified cabinet maker, Tim spent many years working for other people and doing mostly commercial work. Then in 2002 came the opportunity he had always dreamed of — opening his own cabinet manufacturing business. The next two and a half years were very successful. “We got lots of business,” says Tim, “and we worked ourselves stupid trying to keep up. Our team was fantastic and everyone put in 110%. “During my search for machinery I visited another shop with a machinery rep. While I was looking at the machines the owner kept commenting on the effectiveness of the software. I didn’t think much of it at the time but later on I called him up and asked for more information. That’s when I was introduced to the CADCode software. Near Statesboro, GA, Brannen Millwork Company zeros in on high-end entry doors designed for Hurricane Alley — and it’s paying off. Shop Size: 43,000 sq. 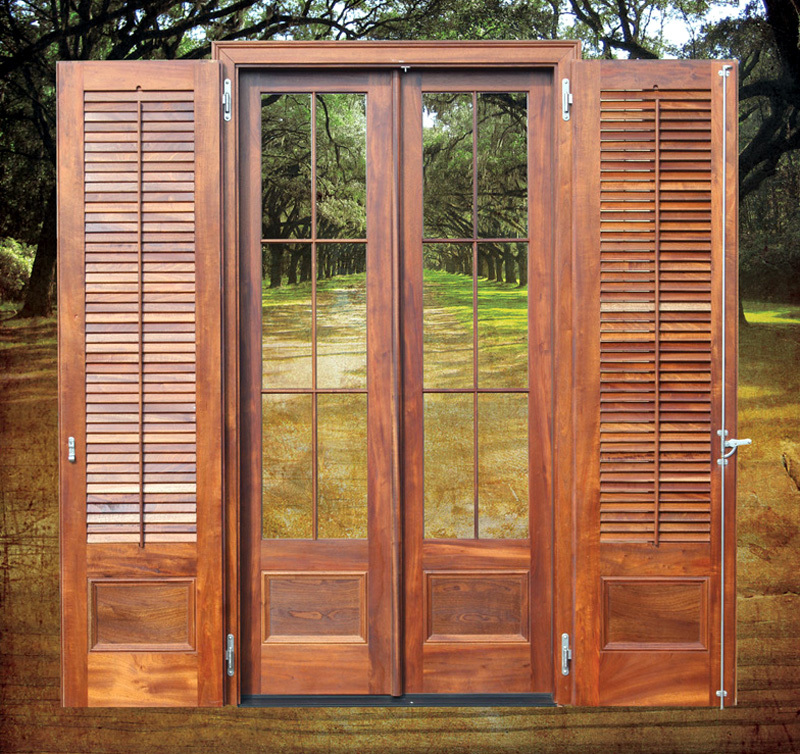 ft.
FYI: Through the years, the company has honed its focus down to high-end exterior doors, emphasizing durability for its customers in hurricane-prone areas. Brannen Millwork isn’t a Briggs and Stratton by any means – at least not yet. 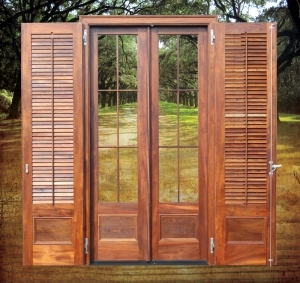 But it has turned into an engine of growth unto itself and, with its 50 employees, the company is setting new standards in the wood entry-door market. Brannen’s design pressure (DP) and impact-rated units have become a prime choice for homes in hurricane-prone locales throughout the Southeast. Started in 1989 by Lewis Stewart and Edmund Brannen, Brannen Millwork began as so many woodworking businesses do, making custom cabinets, mantles and millwork for local customers, from concept through installation. The first shop was a 1,400-square-foot converted grocery store. A year later, the firm built a 6,000-square-foot steel building and moved in. “We thought we had all the room we’d ever need,” chuckles Stewart, who manages the production side of the operation. “Little did we know.” Fifteen years and seven additions later, the building’s footprint now covers 43,000 feet, and the company’s products are sold from the Carolinas to Florida. That growth has required a steady, deliberate, and sometimes painful narrowing of the company’s focus, according to Brannen, the company’s co-owner and sales manager. The lavish, multimillion-dollar homes in seaside communities on Kiawah and Hilton Head islands are still primary destinations for the company’s products. But ... “We’re getting a lot of new Florida customers now,” Stewart says. The storms that ravaged The Sunshine State last year are a big reason for that. The production staff works four nine-hour days, Monday through Thursday, with a half day on Fridays. Overtime is usually plentiful. “We use the R240 for machining door parts, sizing doors and jamb parts,” Stewart says. “We used it initially to machine door parts and then saw the added capabilities. The R132 will be dedicated to door sizing and frame parts, along with impact-tested doors. This will allow more time for door part machining on the R240. Once we got the first router, there wasn’t enough time in the day to do everything we wanted to do on it.” A vast arsenal of moulders allows Brannen Millwork to offer 1,500 moulding profiles. The company also manufactures interior doors. But overwhelmingly and increasingly, the company’s primary products are entry-door units. “We looked at routers for eight years,” says Lewis Stewart, co-founder of Brannen Millwork. His desk overlooks the manufacturing floor at Brannen Millwork, and probably not coincidentally. It affords him a bird’s-eye view of the company’s two Routech Record CNC routers. Until he found CADCode, “The software just wasn’t there,” he continues. “They had it for the cabinet industry, but it wouldn’t work for us, where I could take what I already had going in spreadsheets and incorporate that, it just wasn’t going to make sense,” he says. Stewart says the CADCode software was the primary factor in the door manufacturer’s decision to join the CNC revolution. “I went with CADCode because we were already...spreadsheet oriented, and we used our spreadsheets to quote parts lists,” he explains. Opening a customized spreadsheet in Microsoft Excel, “I can go over here and choose a product. “Say I need to build a panel door. In there I’ve got five panel, equal panel, four- and six-panel. And I put in the height and the width and then I can tell it how many panels wide, tall, and then my stiles, I’ve set them up as variables, top rail, bottom rail, lock rail, profiles,” he continues, entering numbers into the spreadsheet denoting his choices. Stewart demonstrates, and within two minutes he has programmed three frame-and-panel doors. A minute later, he has added an arch-top door with a glass insert to the package. Brannen Millwork purchased its first CNC router last April. So sold on the possibilities was Stewart, the company’s production manager, that another was bought just a half-year later. “When I got into this, I didn’t understand that really, what are you doing when you program a router? All you’re looking for is a set of coordinates” he says. “So, how do most people program a router? They draw [the job] to prove their coordinates, then they use those coordinates out of the drawing, and then they have to put it on the [router] table. Really, all [they] wanted was the coordinates, so why draw it?” he asks rhetorically. “It’s a little bit daunting to begin with because when you have something so incredibly powerful, you’ve got to figure out how to use it. But once you get through that, you are only limited by your own intelligence,” he says. “Mouldings are about 20 to 25 percent of our sales,” Stewart notes. “Exterior doors are about 60 percent, and windows, interior doors and miscellaneous work are the balance.” Stewart notes that most of the company’s entry units are made from “mahogany and its cousins.” Brannen Millwork also produces doors in reclaimed and newly milled cypress, as well as heart pine, cherry, walnut, alder and maple, depending on customer needs. “We cater to egos,” he says, then adds with a laugh, “Our customers want [their door] to look like a dining table – and then they get it to the site and treat it like a stack of two-by-fours.” Fortunately, after finishing, the units can handle harsh treatment. The company holds more than 30 certifications attesting to its entry units’ durability under extreme conditions. Such highly specified, code-exceeding work is not inexpensive, and errors resulting from insufficient or incorrect information from buyers are a constant concern. If “football” is the one word that best explains the Statesboro area’s growth, “staff” is the one word that which best explains Brannen Millwork’s success. “We have good, knowledgeable people managing our shop labor. They have been with us many years,” Stewart says. “They know what it takes to make great parts, and great parts make great units. The shortage of skilled employees has been an obstacle to overcome. We hope to use more technology in the future. “Mollye Stewart, my wife and Edmund’s sister, joined us in 1990,” he adds. “She has been a major pillar in our company. She began as a bookkeeper and evolved into a salesperson. She has excellent people skills and knows how our product is made. Our product is very detail-oriented, and you must know construction and millwork manufacturing. Now she is active in both, and we can’t do without her. “Our inside salespeople, they end up talking to our dealer customers, who are not always as knowledgeable as they ought to be,” Stewart continues. The company sells wholesale, almost exclusively through lumber yards and building materials dealers.